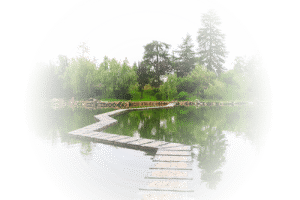 For those who want it and depending on your experience, path and responsiveness, it is possible to conduct remote sessions via Skype: Symphonies of Access and other energy clearing sessions with Access tools. In the comfort of your own home, you can safely make your interior trips. Contrary to what one might think, remote sessions can sometimes even be more effective due to the fact of wearing headphones when it comes to hypnosis session. The headphones provide the effect of hearing the therapist’s voice in the center of the head, which reduces the inner dialogues. The session by Skype takes place exactly as a session performed in person. The protocols and techniques used are simply suitable for remote sessions. Headphones with microphone, or equivalent equipment. Sift the lighting in the room – while making sure it’s clear enough for your practitioner to see you on the screen. Remind other people in your home not to make a fuss over the course of your session. By setting your Skype settings as recommended below for your sessions, you will be able to mitigate the risk of interruptions. Simply put your settings back to their original position after your session.